Author: Lodge, David Set In . . . 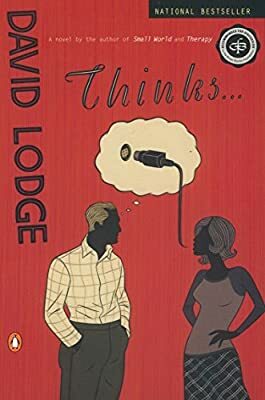 Description: David Lodge's novels have earned comparisons to those of John Updike and Philip Roth and established him as "a cult figure on both sides of the Atlantic" (The New York Times). Thinks . . . , his witty new novel about secret infidelities and the nature of consciousness, unfolds in the alternating voices of Ralph Messenger, director of the Centre for Cognitive Science at the University of Gloucester, and Helen Reed, a novelist and writer in residence at the university. Mutually attracted, the two end up in a moral standoff that is shattered by events that dramatically confirm the truth of Ralph's dictum: "we can never know for certain what another person is thinking."